Toronto, Canada, April 18, 2017	(Newswire.com) - Canada-based company, 3D Synergy Technologies Inc. will release an advanced 3D drawing pen that is specifically catered to professionals. 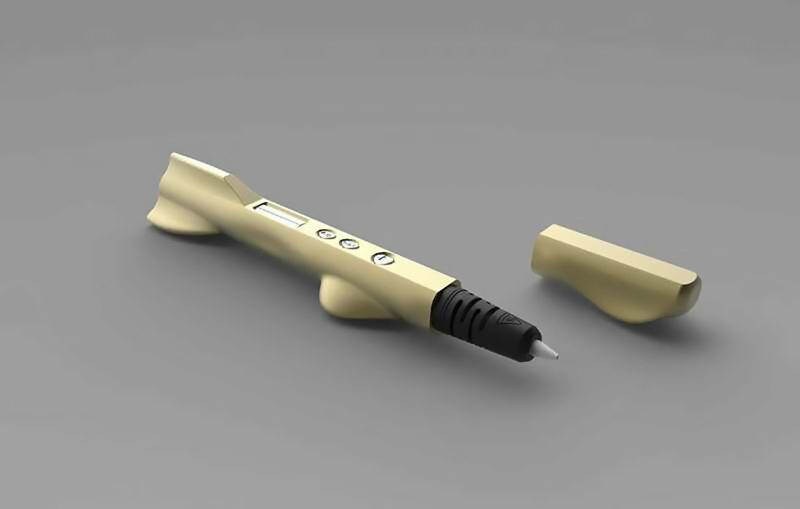 The new feature packed pen will be launched under their own brand, 3D Magic Wand. This 3D Magic Wand Pro Pen is designed and created with the professional user in mind. 3D Magic Wand Pro Pen addresses the concerns of the professional user. It features a built-in fan to reduce heat and eliminate jamming, auto-feed and auto-eject functions for prolonged use, variable speed, precise temperature setting, an OLED screen and more. This 3D pen comes with environmentally friendly PLA filament. It also allows the user to utilize other materials such as carbon fibre, metallic, wood, conductive and ABS filaments. "The 3D pen industry is a growing segment of 3D printing. Professionals are turning to hand-controlled, quick result 3D printing pens for rapid prototyping and concept realization in the fields of education, architecture and design. Our 3D Magic Wand Pro Pen was created by professionals, for professionals." President and CEO, 3D Synergy Technologies Inc.
“Professionals are turning to hand-controlled, quick result 3D printing pens for rapid prototyping and concept realization in the fields of education, architecture and design,” says Jamie Smilovici. 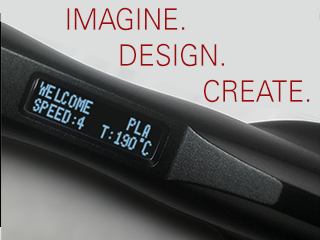 The 3D Magic Wand Pro Pen will be available online at our crowdfunding campaign at Indiegogo.com on April 18th for a limited time. Search for “3D Magic Wand Pro Pen”. 3D Synergy Technologies (Coretech Americas) is an innovative, tech-savvy company that manufactures and markets its own line of 3D products under the 3D Magic Wand brand and also under the Polaroid brand name. Our range of products include all things 3D - pens, printers, scanners, filament, and related accessories while maintaining our core belief of providing environmentally safe consumer products. Under our parent company, Coretech HK, we have been manufacturing toys for some of the worlds leading brands since 1987, but in the last decade we have expanded our manufacturing capabilities and ventured into consumer technologies. For more information, visit www.3dsyntech.com. Explore the possibilities of 3D Pen HERE. Source: 3D Synergy Technologies Inc.
Polaroid has been a trusted global brand for 80 years. Bring your whole world to life in 3D with Polaroid's line of pens, printers, and scanners.